Apple filed for this touchscreen patent back in 2007. But now that it has finally been awarded, it could have sweeping effects on the wireless landscape in the U.S. The patent covers nearly every industry-standard feature of the capacitive interface, which would affect every device maker. The patent states, most generally, that it covers "a computer-implemented method, for use in conjunction with a portable multifunction device with a touch screen display, [that] comprises displaying a portion of page content, including a frame displaying a portion of frame content and also including other content of the page, on the touch screen display." 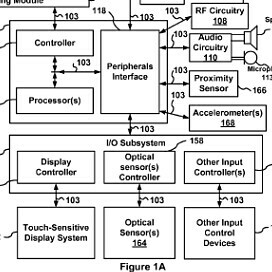 The patent also extends to multi-touch gestures like pinch-to-zoom, which have become ubiquitous among touchscreen devices. Florian Mueller of Foss Patents says that Apple could use this patent award to bully other device makers out of the U.S. market: "This patent covers a kind of functionality without which it would be hard to build a competitive smartphone." Experts suggest that the patent could be interpreted as only applying to the web browser. But even that would prove problematic. Unless the patent is invalidated, Apple could legitimately sue every smartphone and tablet maker, as well as makers of touchscreen music players. On the other hand, the volume of support against the patent could make it easier to invalidate. Yeah, Apple. Just try now to sue everyone. If you somehow, someway win, everyone will just find some other gesture to use. I can actually already think of a couple. Hahaha if you actually have an idea you can make some money. I doubt it. Only thing you're good at is commenting on Apple articles. Well, Taco, gestures I thought of are "pull to scroll" and a circular motion for zooming in and out. They may have already been implemented somewhere, I don't know. And really, you have no idea what goes on in my head, Taco. You're just a hateful piece of work who lives by the bandwagon morality. As far back as I can remember all you've ever talked about and used as a metric of quality is how well Apple products sell and how much money they have. You give no thought to originality, freedom, attention to customers' wants and needs, respect for other companies...none of those factors matter when you're deciding why you like Apple and why they're the best in your mind. To you, all that matters is that Apple sells. Well, good luck with that, Taco, and with your Hanna Montana and Justin Bieber CDs, and your Transformers DVDs. I hope you're happy. But the second one blew so much it was chased after by every pimp in the country. hey sniggly so why isnt it alright for apple to be original and get the patent for their idea? just cause they do it it isnt original anymore? and u r super hypocritical... just a few weeks ago u said pinch to zoom was the only way to zoom and how cud apple claim it first... now that they have it u have to go find another way to not make urself seem wrong? uhh whats wrong with transformers by the way? It's fine for Apple to be original. Problem is, some users on here can already think of phones/software that had the functionality Apple patented before the iPhone came out. I can't remember what I said exactly, but while there may be alternatives to pinch to zoom, right now it is the easiest and most intuitive method to use. And the first Transformers was okay. Stupid, badly acted, and at times questionably directed, but it was fun and funny. The second Transformers, though, was racist, sexist, badly directed, badly scripted, badly paced, goofy to the point of total corniness, and it gave the spotlight to the most annoying characters in the movie. The jury's still out on Transformers 3 though. Samsung have implemented a few really good gestures on the SGSII like the two finger hold on screen with tilt action to zoom in and out. However, Samsung better get on the boat quickly and patent their own gestures before Apple thinks they invented them. i'd rather withdraw back to a landline rather than get an iphone. why? because i simply don't want one. I'm more discouraged by their business practices than with their product. I admire choice. Apple's arguement that products look like their? Can you not imagine the dispute existing between the automibile industry? "Your Ford has four wheels and a windshield as does my Nissan". Ironically, from previous articles with Apples pattent on remote camera shut down, clearly they not only are not concerned with sharing a market, they are not supportive of its clientele. I will say this once and only once as that's all it takes to make a point. "Apple's interest is only Apple. Not the consumer." a five dollar landline phone with large buttons and a twenty foot cord is more concerned with the general public. That, is commendable. I am a fan of Apple, and that comment made me laugh out loud. Nicely done, sir. Fandroids where you at? It's shameful how android copied their entire OS from Apple. All they did is some minor tweaks like widgets and live wall paper. China likes knock offs so maybe android can still sell there lol. Minor tweaks? LOL. This kid has never used an android. I have actually. Tell me about something that's a major difference in the UI. The notification bar that only Android has. Now apple's trying to rip it off and say that it's revolutionary. The swipe to a specific app that HTC Sense 3.0 has. Apple has ripped it off too. All these comes in a package called iOS5. Swipe is a gesture that android took from Apple. The notification bar was a difference but not a major one. How about android having the same app layout with multiple screens that you swipe across just like the iPhone. And using all the same gestures? Android OS is copied down to the core. So you are implying that MeeGo has copied iOS too? Swipe is a major feature in MeeGo. Not a major one? So why is Apple ripping off that notification bar from Android? No not down to the core. Then again, arent both iOS and Android based on Linux, Unix? Not really sure about Android. So you may be right... Then again, since Android uses a virtual machine to run the OS and iOS doesnt...its not copied down to the core. Android OS has a lil in common with the OS on the LG Prada too. The OS on the Prada was based on Flash Lite. 2 different types of ways to run an OS, Flash and off a virtual machine. actually taco, android's base app drawer is one that scrolls top top bottom in a smooth fashion, not left to right. Only Samsung Touchwiz does that. The notification bar in android is leagues ahead of that crap in iOS, which is why iOS5 blatantly steals it. There is also widgets customizable home screens reorganizable app drawers multi tasking larger screens flash on camera (came to android first buddy) adobe flash 3g lol 4g video chat over 3g not just wifi skype wifi calling tethering wireless tethering on and on and on. what does iOS have? it runs smooth and it lists icons. woop. oh wait.. iOS5 goes out of its way to steal much of what i just listed.